Brampton, Ontario's Earlsbridge Dental Centre provides preventative, restorative, and cosmetic dentistry. Our dental clinic is more than well-equipped to serve all of our Brampton community's family dental needs. With expert dental care and a strong commitment to surpassing you and your family's needs, you can all achieve beautiful smiles while we emphasize the benefits and importance of practicing routine dental hygiene. Our gentle dentist and staff are dedicated to personalizing your care. Numerous long-term relationships have started as a result of our dentist making our patients our top priority, during any given appointment and circumstance... 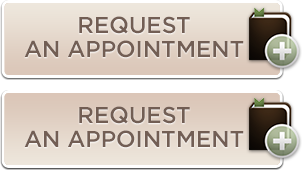 Whether your visit to the dentist is for a small complication, an emergency dental appointment, a dental checkup / teeth cleaning or anything in between. What's more is that our full range of cosmetic dental services, from simple fillings and teeth whitening to full smile makeovers can make you smile a lot more, overall. Our comprehensive dental services are available and ready to repair or improve all aspects of your oral health. Call us today for your next gentle treatment, delivered with expertise and accuracy.